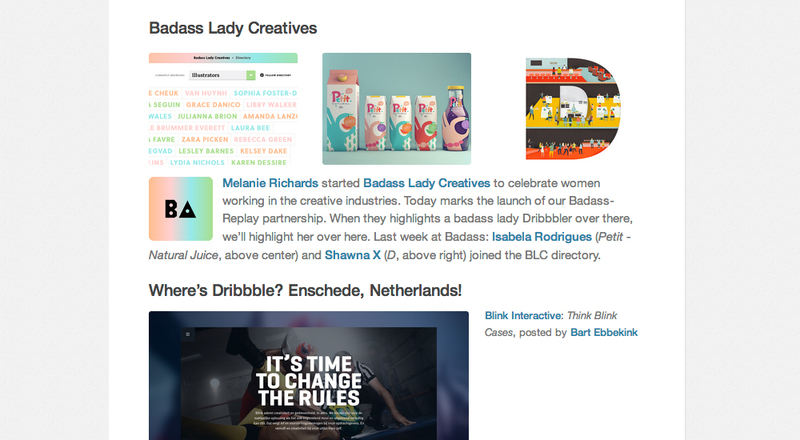 Starting this week, Weekly Replay (a recap feature on the Dribbble blog) will include Dribbble users featured on Badass Lady Creatives. I’m so excited that these talented designers and illustrators will gain exposure on another outlet! Many thanks to Susanna Baird and the rest of the Dribbble team.